"This looks like a great day to go to Oaks Amusement Park!" said none of the children and Chaperones that were at Oaks Park today. Could it have been any colder, rainier, windier? Nope. Don't think so. Thank goodness I had heavy boots, huge raincoat and a large umbrella. (I was still wet and cold at the end of the day though.) 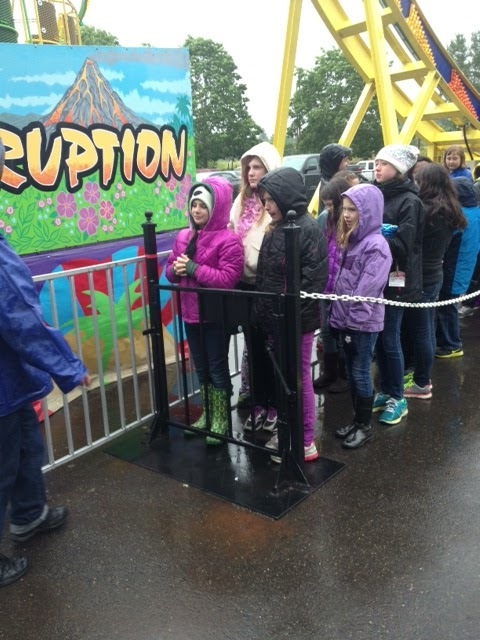 If kids are being treated to an end-of-school year celebration at an amusement park, nothing can dampen their enthusiasm!